Roger Deakin paddles his canoe, Cigarette, through the shallows of the River Waveney to discover the sounds of the river and its wildlife. Roger Deakin glides quietly amongst the moorhens as he paddles his canoe, Cigarette, through the shallows of the River Waveney to discover the sounds of the river and its wildlife. Canoeing the Waveney from one Suffolk mill to the next you enter another world, quiet except for the sounds of the river and its wildlife. Cigarette on the Waveney combines a personal narration by writer and conservationist Roger Deakin, recorded during the journey over several days and nights, with an evocative soundscape of the River Waveney and its changing moods. 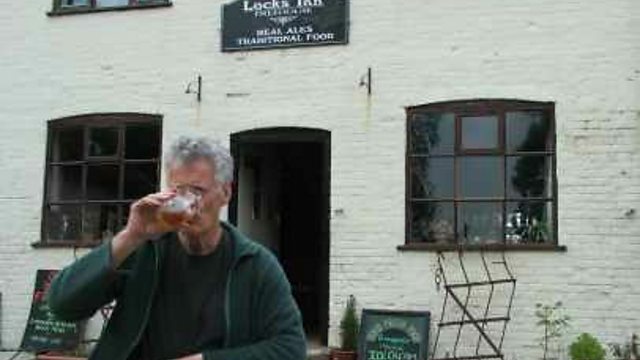 Roger's journey takes him from the river's source at Redgrave Fen in Suffolk to Geldeston Lock in Norfolk. The Waveney is a secret, reclusive river that forms the boundary between Norfolk and Suffolk, and steeped in history; from the martyrdom of St Edmund at Hoxne to the stalking of the wily chub in the reeds of Medham Marshes. Roger's transport is a canoe called Cigarette. It's named after the craft in which Robert Louis Stevenson voyaged through the waterways of Belgium and France in 1876. Cigarette is a Canadian style canoe, long and broad, which moves silently and stealthily through the water. It allows Roger to get close to the wildlife in the reeds and the shallows; the otters, moorhens, kingfishers, herons and an occasional hissing swan. The soundscape captures the trickling of water beneath the streamlined canoe and the whisper of the wind in the reeds, to the sounds of night on the river bank and a well-earned pint at Geldeston Locks at the journey's end.